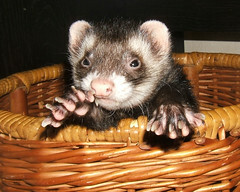 Purchases made through our Amazon.com store (at the link below) could generate small commissions for Ferrets Unlimited Rescue Services. Please think of us next time you are shopping online. Check this out. It's adorable!